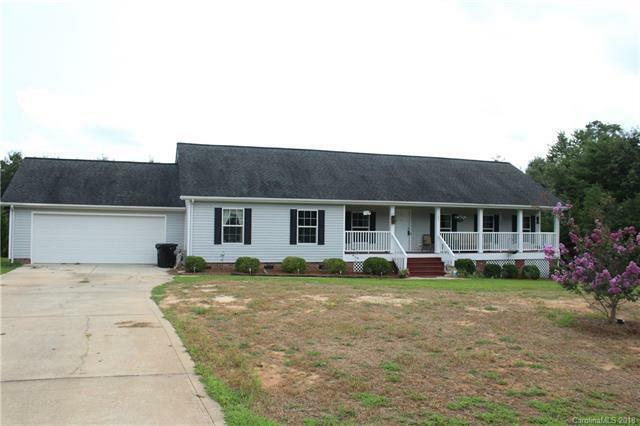 This ranch style home has an open living plan with a large kitchen, large master suite, two additional bedrooms, an extra room for an office/nursery, two bathrooms, a covered front porch and an open deck in back, plus a two car garage. The home features all new bamboo hardwood, tile, and vinyl floors, a custom marble and tile countertop in kitchen, and new paint from ceiling down to the floor molding. The generous yard is great for entertaining. The house is in a quiet neighborhood that is children and pet friendly but also great for retirees. It is only about a mile from Lincolnton hospital and only minutes from shopping. Great schools in the area and it's in the North Lincoln High School district. Come see this lovely house to see if it could be your next home.